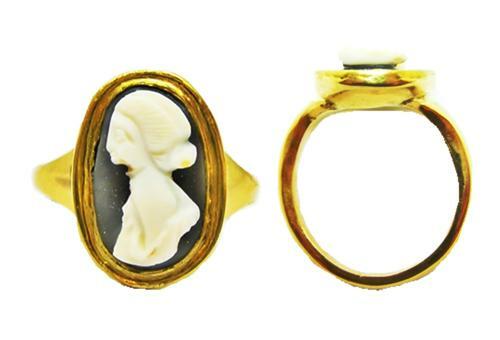 This is an ancient Roman Nicolo cameo of a lady, it dates to the 3rd century A.D. The blue and white of the Nicolo (aka Arabian Onyx) was the highest quality gemstone employed in the ancient glyptic art. Sadly she has a chip on her chin, though otherwise intact and wearable, set into an 18k solid gold finger ring.